The Healing Power of Energy Devices: Is There Such a Thing as Incurable Disease? To understand if incurable diseases exist, we need to understand what a disease is and its main causes. The excerpt below does a good job explaining what a disease is. It is extracted from wikipedia.org. A disease is an abnormal condition affecting the body of an organism. It is often construed to be a medical condition associated with specific symptoms and signs. It may be caused by external factors, such as infectious disease, or it may be caused by internal dysfunctions, such as autoimmune diseases. In humans, “disease” is often used more broadly to refer to any condition that causes pain, dysfunction, distress, social problems, or death to the person afflicted, or similar problems for those in contact with the person. The excerpt above does a good job explaining what a disease is, but it does not explain the core cause of a disease. To understand the core cause of a disease, we need to turn our attentions to the realm of energy mechanics. Diseases are the effects of energy distortions or energy imbalances that disrupt the natural flow of energy within a system, such as the human body. The human body is a living system that relies on energy vibration to function properly. When the energies of the body become distorted, the frequency of the body drops, and it becomes vulnerable to certain diseases. In theory, if we are able to keep our body’s frequency above 62 megahertz (MHz), we should not have to worry about getting sick. One of the great scientists who did an excellent job exploring the relationship between diseases and energy frequency is Dr. Royal Raymond Rife. His research has helped him find cures for many “incurable diseases,” including many forms of cancer. The paragraphs below is extracted from justalist.blogspot.com. People who maintain their optimal frequency, at least of their immune system, would prevent development of symptoms and illnesses associated with the common cold. Of course, in practice this does not work for most of us because, being human, we experience stress and emotional challenges on a daily basis, which lower our body frequency. Hence, we need to raise our body frequency regularly/daily with the right substances that are compatible at the cellular/energetic level of our being, rather than wait until our body frequency has dropped so low that it becomes a friendly host for microscopic invaders. The paragraphs above suggested that stress and emotional challenges are some of the main causes for the body’s frequency to drop to unhealthy levels. For these reasons, if you learn how to reduce your stress and negative emotions, you can greatly reduce your risk of sickness. A great natural technique to help you reduce stress and negative emotions is meditation. To learn more about the healing potential of meditation, please read How to Meditate and Heal Your Body. The cures for many incurable diseases have existed for more than a century, but the Controllers (wealthy people who control societies from behind the scene for their own selfish gains) have suppressed these cures. So, next time you see a commercial telling you to donate to help find a cure for a disease, do not fall for their tricks. The Controllers are usually behind these types of commercial. Many of the energy devices used for curing diseases are very effective because they are able to harness the healing power of frequency. With the right energy device, a doctor or scientist can use it to generate a specific frequency signature that can destroy harmful microorganisms or cancer cells without harming healthy tissues. It is important to know that even though energy devices can cure many incurable diseases, the cure is not permanent. However, these devices are a lot more effective than conventional health devices orpharmaceutical drugs. To truly heal our bodies of diseases, we will need to fix the energy distortions in the original energy template upon which our bodies manifest into physicality. 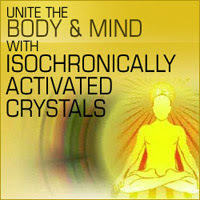 This can be done by using the power of thought, along with subconscious sacred symbol codes and certain energy healing techniques. At our current level of evolution, most of us do not have the knowledge or wisdom to use the power of thought and subconscious sacred symbol codes to heal our light bodies and DNA; therefore, energy devices can be of great blessings for us. However, it is not wise to rely heavily on technology because eventually the body will become dependent on it. The human body was designed by Creation (God). When fully activated, no levels of technology can compete with it. To activate the full potential of the human body, the other 90 percent of its DNA (“junk DNA”) must be activated. Well-trained energy healers can help fix some distortions in our original energy template, but they can only fix them to a certain point. If we want to truly fix the distortions in our original energy template, we will need to become healers ourselves. It is only through direct experience of healing ourselves that we can truly be healed. In other words, true healing can only be achieved by the person who wants to be healed. The energy devices that I mentioned earlier are well-known by people in high ranks of secret groups in our society. They have known for centuries that these devices can cure diseases and even regenerate lost body parts. If the negative forces lose the current financial war, these devices will be introduced to the public shortly after their defeat. When you study the science behind matter with an open mind, you will eventually come to the conclusion that all diseases are the effects of energy distortions and that diseases are more like illusions. Once you fix the energy distortions, the disease will disappear; therefore, there is no such thing as an incurable disease.